Our Folding Spandex Chair Covers can instantly transform any basic metal or Samsonite Folding Chair into a lovely matching seating option for your wedding or special occasion. 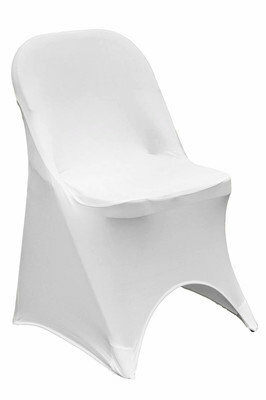 Each chair cover is made from high elasticity spandex with reinforced pockets for holding the chair feet securely in place. Your event will be absolute perfection when you use our Folding Spandex Chair Covers to decorate your special day. Price DOES NOT include chair.